2018 is already starting well! 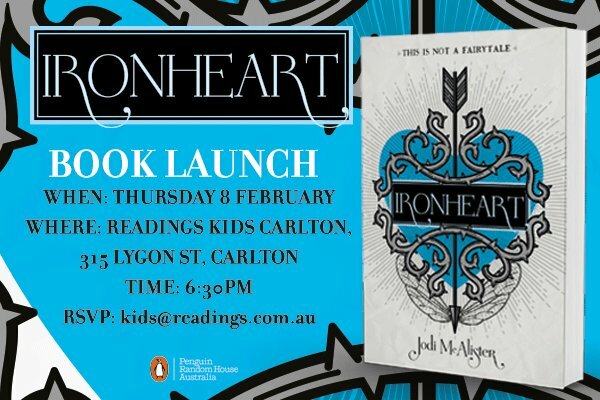 We’re beyond exited for Ironheart by Jodi McAlister, published by Penguin on 29 January. Ironheart is the sequel to the amazing YA fantasy Valentine, published last year. 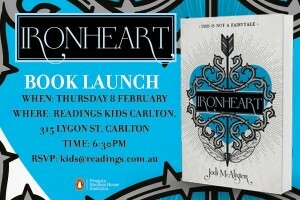 We’ll be launching Ironheart next week on Thursday at Readings Kids in Carlton. Make sure to RSVP to reserve a spot. In Ironheart, the follow-up novel to Valentine, Pearl and Finn face a new threat. The Unseelie fairies have infiltrated their town, and they’ve unleashed a new horror – a bunch of wild, uncontrollable, angry supernatural hunters. On top of all this, Pearl has to a) win her best friend Phil back, b) deal with the fact that her brother is marrying his awful girlfriend, c) do something about the fact that Julian might want to kill her, d) somehow convince the internet she’s not a murderer, e) maintain a presence on the Haylesford indie music scene, f) try and get over her new phobia of water, g) find time for her new job at OverWrought, and h) attend high school. Oh, and i) pencil in time to go on an actual proper date with Finn. If she can manage that without evil fairies trying to kill them. And you know what? This is a lot for one seventeen-year-old girl to handle. No wonder Pearl is so full of rage all the time . . . but that rage might be drawing the attention of some very dangerous people. 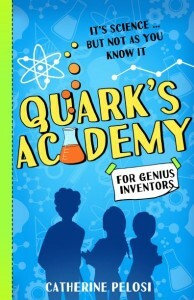 Just a day after the release of Ironheart we had another AAPS author release: Catherine Pelosi‘s new middle-grade novel, Quark’s Academy (Hachette) on 30 January. There is going to be an amazing launch party in Sydney for Quark’s in a few weeks, so keep an eye on the author’s website for details. SCIENCE IN PROGRESS – ENTER AT YOUR OWN RISK! 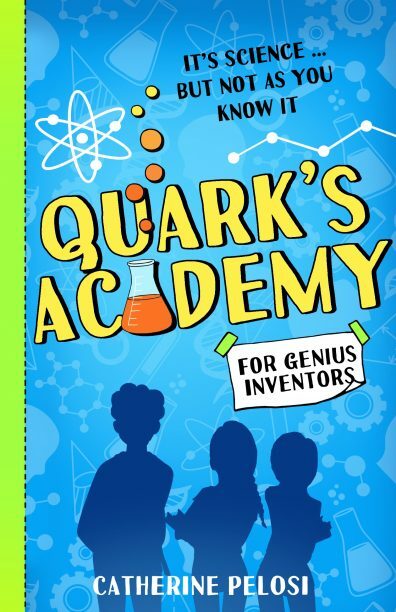 Junior science geniuses Augustine, Celeste and Oscar can’t believe their luck when they’re accepted into an elite and mysterious science academy summer camp run by the elusive Inventor Quark. You can find Ironheart and Quark’s Academy now in all good bookstores, and probably a few disreputable ones too.